I haven’t posted an update on the osprey for a while so here is a pen and ink for fun. I think we have chicks in the nest, however we can’t see anything yet. I think this parent is taking caring of a little bundle of joy. 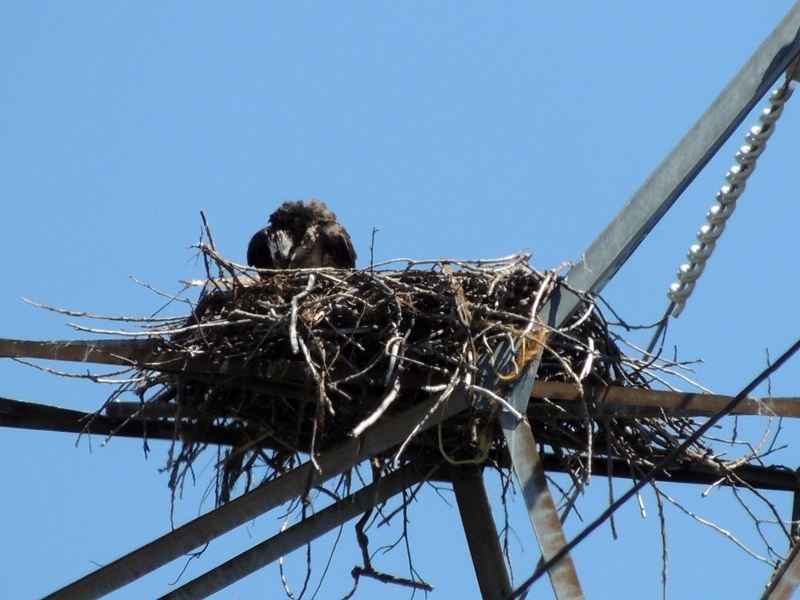 The other parent waits patiently by the nest. 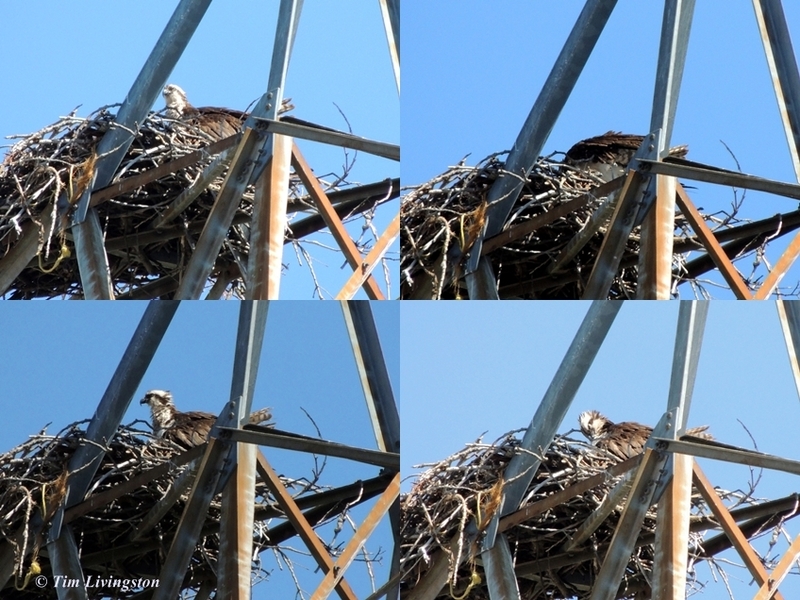 For about the last month a least one osprey has been hunkered down on the nest incubating the eggs. Late last week this pattern changed and now there is a lot of fussing about going on. I think they are feeding chicks or at least one chick. The chicks will hatch about a week apart. Fussing around in the nest. Time for some personal grooming. 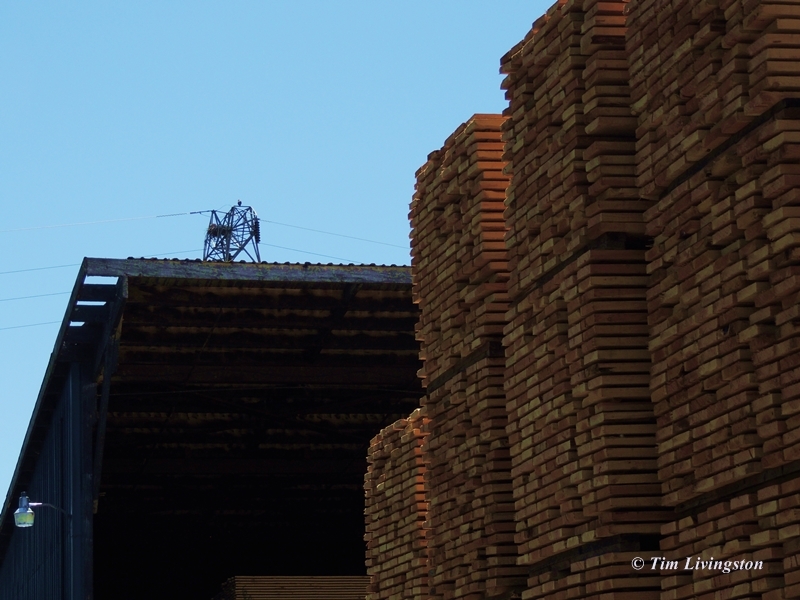 A view of the nest from the lumber yard. The weather has been clear warm and windy here. In fact it hit 100 degrees last weekend. That is on the warm side this early in the year. I think it is going to get really hot up on that tower. Another sunny day and a view out over the back forty. 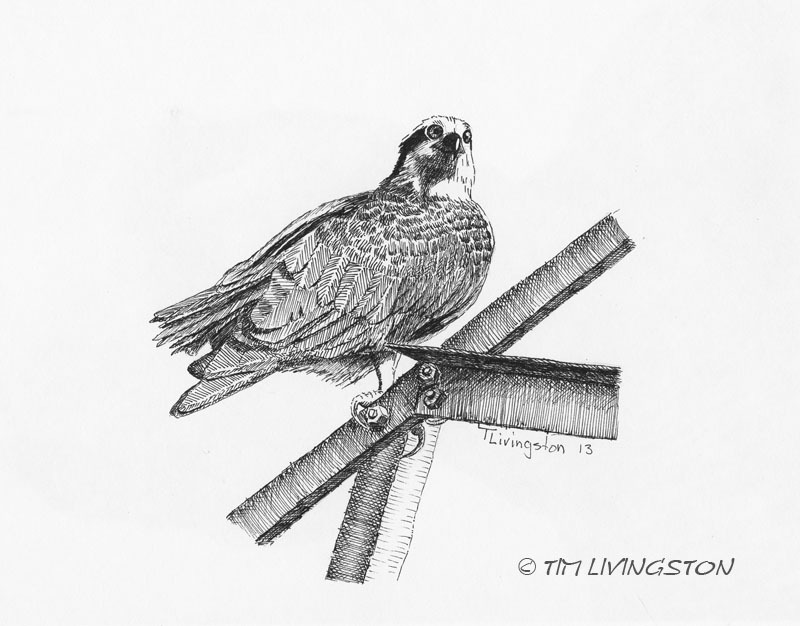 This entry was posted in Pen and Ink, Wildlife, Wildlife At The Mill and tagged drawing, Forester Artist, nature, osprey, pen and ink, photography, wildlife by foresterartist. Bookmark the permalink. Beautiful, Tim. Love the last pic. 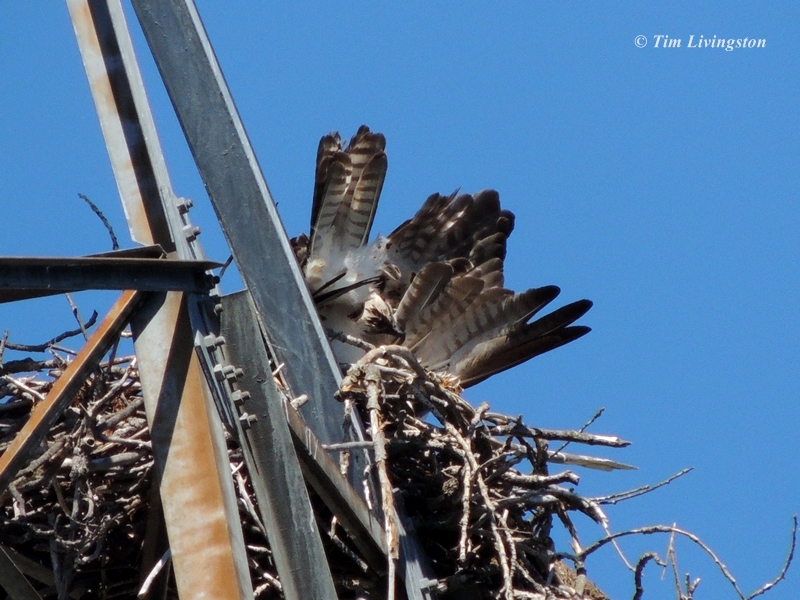 Hi Tim – glad all seems well in Osprey Nest Land ! Love your P&I drawing . Thank you Poppy. I’m looking forward to when I can see the little heads poking up. It certainly sounds as though something is going on … your drawing is great, I like the contrast of the bird with the metal girder. Thanks Anna. It shouldn’t be long before the babies show themselves. Lovely pen and ink drawing and the photographs are wonderful. ^ – ^ wow , the little one from the painting looks very cute ,pure eyes and smiling face ! I love the detail in your drawing. The landscape shot has great colors is nicely balanced. I really enjoy seeing the osprey. I also love your drawing! Thank you so much Elena. I enjoy following the Osprey and I hope I not to bore you all with them. The view wow, delicious green… And great ink as usual! Tim super story, pictures and great detaild ink drawing by you. Thanks Mary. They do indeed. I will have another post in the future of many of the local nests. The variety is quite remarkable. Osprey are intriguing. 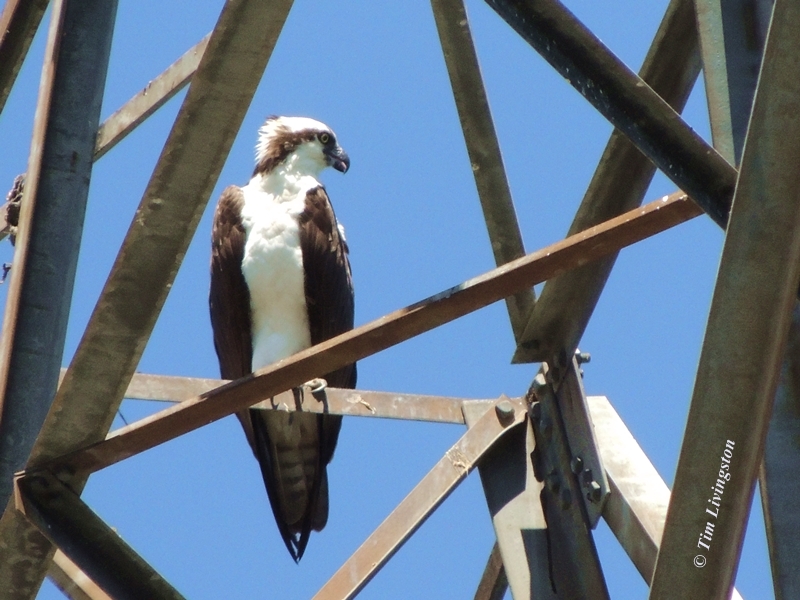 There are several spots on Cape Cod with tall structures that the village “fathers” have built precisely for the purpose of attracting the osprey to build nests. The birds always seem to have a collection of viewers and photographers around. They are fascinating, beautiful creatures. I love your drawing! Thank you Marian. I enjoy seeing them at work every day. I’m watching now for the chicks to show themselves. Wonderful drawing. 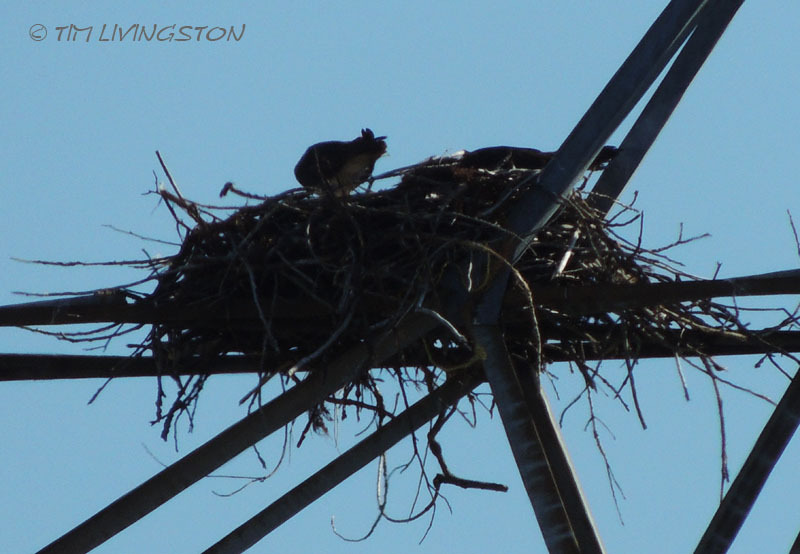 We’ve got a nest of hawks perched on top of a huge stadium light across the street from where I live. It’s incredible. Thank you. It is pretty cool when we get to observe wildlife like that on a daily basis. the pen and ink is very nice, and all of the photos are lovely. 100 degrees? wow, that seems hot! you surely were happy to get that rain! love the final shot as well; what crop is/was that? Too early to be that warm for sure. 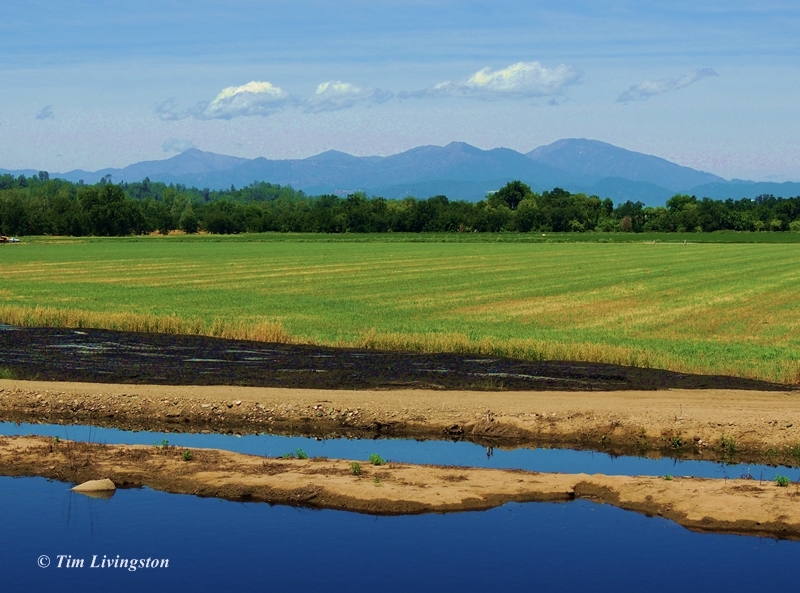 They are growing hay and alfalfa in the field. Thanks Z.
how well i remember the beauty and distinct aroma of the alfalfa fields near our family farm in mississippi. i always liked the sound of the word, alfalfa! Thank you Leslie. No razor blades or ink droppers there. Thank you Lele! I actually got a picture of a baby the other day but haven’t had a chance to post it. the chick is hard to see in the picture. we photograph about different themes (field/city) but i can feel when a person shot his camera with the soul. Thank you very much, what a kind thing to say. I can say the same about your photography. I don’t take a lot of people, part of the nature of my job I suppose, but I love your candid street shots in particular. Très beau dessin ! Very beautiful drawing! Verkligt snygg teckning! I love your photos, but especially the drawings! Thank you so much Maria. It must be wonderful to be multilingual. The best I do is some poor Spanish. You can share a language lesson here anytime. Your photography is so beautiful, it speaks sweetly in all languages.